In deep fryer or deep heavy saucepan, heat 2 inches oil to 375°F. Separate dough into 8 biscuits; flatten each into 1/8-inch thick round. Gently place 1 dough round in hot oil; fry 1 to 2 minutes on each side until golden brown and slightly puffy. Drain on paper towel-lined plate; keep warm. Repeat with the remaining dough rounds. 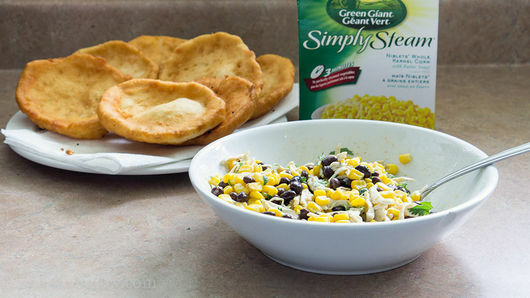 Meanwhile, steam corn as directed on box; place corn in large bowl. Add chicken, black beans and cumin. If desired, season with salt and pepper to taste. Toss mixture to combine. 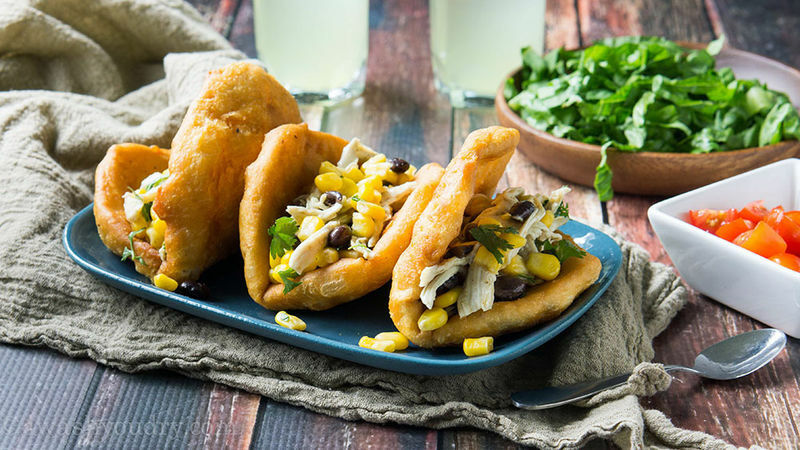 Carefully fold fried biscuits in half to form taco shells; fill with chicken and corn mixture. If desired, top with additional taco toppings such as chopped fresh cilantro, shredded lettuce, diced tomatoes and sour cream. Serve immediately. These tasty tacos would also be perfect with shredded cooked beef, pork, or without any meat for an easy veggie-filled meal! Kick up the heat by adding 1 teaspoon chili powder to the chicken and corn mixture! True puffy tacos are a Tex-Mex specialty and are said to have originated in San Antonio, Texas. 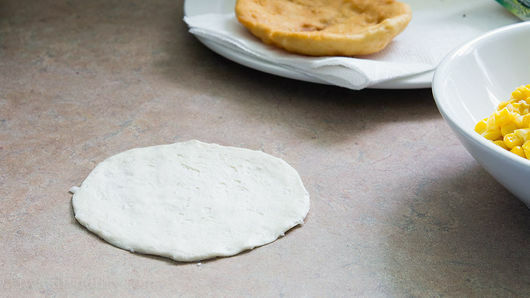 The dough is traditionally made from corn masa and is deep fried. This version of puffy tacos takes a shortcut and starts with Pillsbury biscuits instead, so you don’t have to worry about drafting dough from scratch. We filled this recipe with shredded chicken, but you can easily customize the filling to your favorite protein and other taco ingredients. Puffy tacos are just the beginning. We have so many more creative twists on tacos you have to try next! Ready to try some more Mexican-inspired recipes? We have the best tips and tricks the best enchiladas ever.